Bowl three strikes in a row (a “turkey”) and win a turkey! 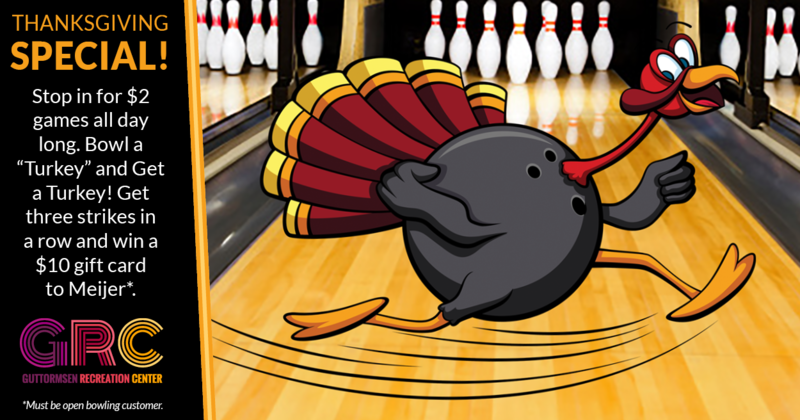 Join us on Thanksgiving at GRC for a fun day of open bowling for $2 a game. Contact us today at (262) 658-8191 to sign up! *Participants must be open bowling customers. Event is from noon to close.